Kelli has trained and competed in CrossFit for over 3 years. She is tremendously talented, hardworking, and kind. She brings enthusiasm, knowledge, and a high skill set with her. Many people will benefit from her gifts and experience here in our community. Kelli is an athlete and a coach. She was a softball player at Willamette University for 4 years. She was an assistant softball coach at Willamette University for 1 year, then interim head softball coach at Willamette University for another year. 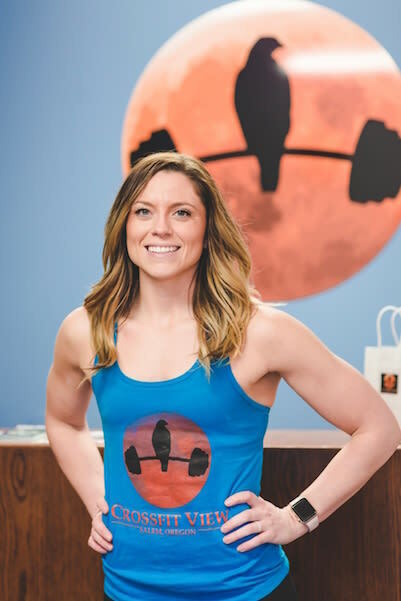 Kelli has two degrees: a Bachelor of Arts in Exercise Science from Willamette University (2013), and a Bachelor of Science in Radiation Therapy from OHSU (2017).